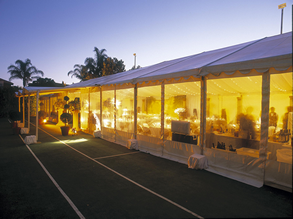 Whitford Marquee and Party Hire is located in Wangara and specialises in the hire of marquees and party hire equipment, and cover the whole Perth metropolitan area as well as some country areas. The business has a large client base with substantial corporate, government and event co-ordination contracts, which coupled in with domestic jobs, gives a great mix. We believe our friendly and reliable service sets us apart from our competitors. Use the menu at the top of the page to navigate throughout the site. Enjoy your visit here and we hope to hear from you soon. If you would like to view our pricelist, please click here.